Throughout the advertisement, the attention focused on the Mirai is warranted with its “turn garbage into fuel” angle, however, the 2016 Toyota Tacoma steals the show for us. It is a recreation of Marty McFly’s dream truck which was a 1985 pickup. The static display looks like a Hot Wheels toy packaging. This date is also significant since Toyota plans to start deliveries of the Mirai in California. They expect to sell 3,000 units in the first year and more as infrastructure throughout the U.S. is further developed. What do you think? 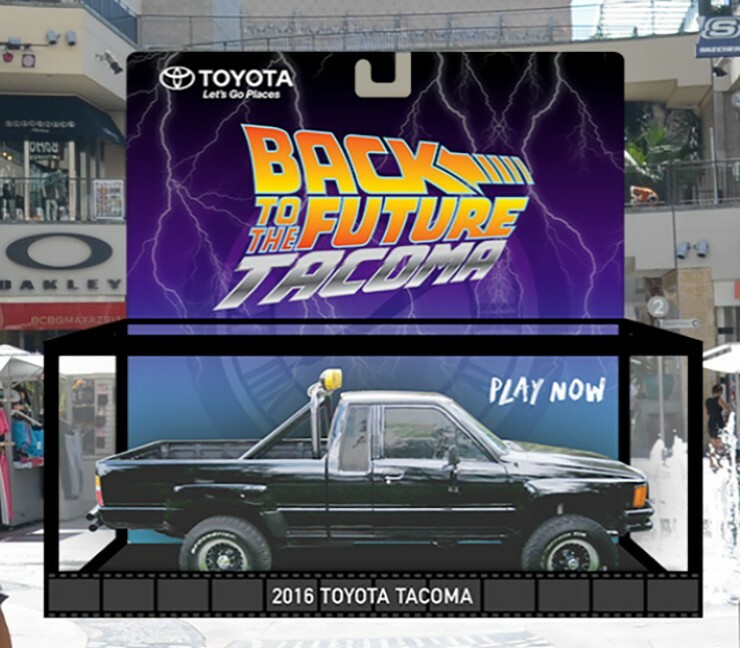 Should Toyota offer the McFly pickup as a special package? Is it just a matter of time before a dealer recreates the truck? The ’85 wasn’t a Tacoma, they didn’t name the trucks Tacoma until ’95. It was either just a pickup or a Hilux. Good point! My fault. I updated the post.